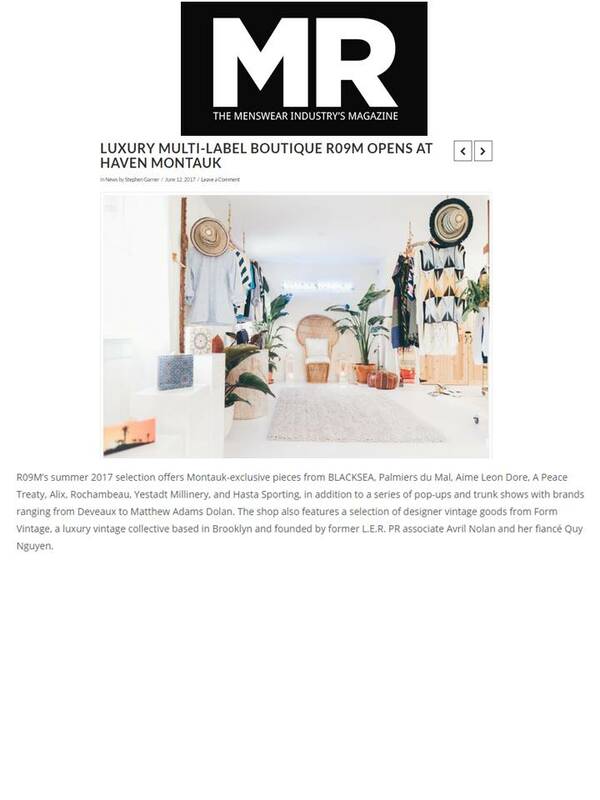 The Fashion Team at LER PR is excited to see acclaimed menswear brand Palmiers du Mal featured in an MR Mag.com article detailing the opening of R09M- a luxury, multi-label boutique located in Haven, Montauk. Palmiers du Mal, a resort-inspired menswear label, has been lauded as a cutting-edge force in the men’s fashion world. They will debut their next collection at New York Men’s Fashion Week this July in New York City.